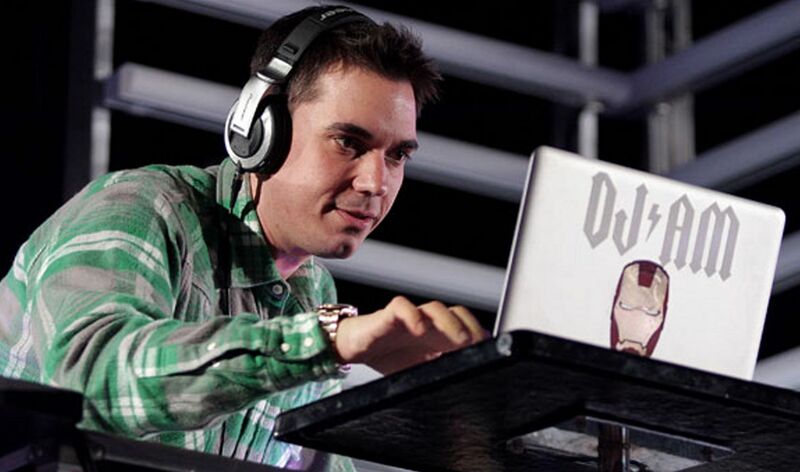 It’s with nostalgia and a touch of sadness that I write this special edition on an influential member of the Los Angeles music scene, DJ AM. He isn’t a household name, but he influenced a lot of the music that you hear today and was a high-flyer in the showbiz industry throughout the 2000’s. He started DJing in 1993 after being inspired by Herbie Hancock perform “Rockit”, however was held back by alcohol and cocaine addictions along with low self-esteem due to weight issues. This all came to a head when he tried to commit suicide, but the gun didn’t go off. He made the decision there and then to turn his life around, and he did just that. He went to AA meetings, distanced himself from his druggie friends and made a concerted effort to lose weight. This was accompanied by an increase in popularity as his DJ skills improved and he gained more self confidence. Suddenly he found himself landing job after job. He was playing at clubs most weekends, and even DJed birthday parties for Tom Cruise and Leonardo DiCaprio. He became a member of Crazy Town, a rap-metal band known for their smash hit song “Butterfly”. He didn’t play a part in the production of that single, but his profile was still improved by his affiliation with the group at the time that the song was released (2001). He began to get residencies at clubs soon after and played at a huge amount of celebrity parties – Jennifer Lopez, Ben Stiller, Christina Aguilera and Ashton Kutcher to name a few. By this time he had a very high profile, and became friends with Travis Barker (of Blink-182). They decided to collaborate, and performed at events under the name TRV$DJAM. They also released two mixtapes, which you can listen to in the playlist below. His profile had risen so much that he ended up playing with Barker at the 2008 MTV music awards, mixing famous songs between acts or around advertisement breaks. He was also good friends with Steve Aoki and diversified with him, creating a management company called Deckstar in the late 2000’s. The company today manages huge artists like Blink-182, Nervo, Porter Robinson, Datsik, The Glitch Mob and Deorro. Unfortunately, he had relapsed into his old drug-taking habits by mid 2009 and was found dead as a result of an overdose. Tributes poured from the music and showbiz industries, with references on the cover of Blink-182’s album “Neighbourhoods” and in Eminem’s song “Talkin’ To Myself”. He was posthumously awarded the title of “DJ of the year” at the 2009 BET Hip-Hop awards, and Iron Man 2 was dedicated to him following a cameo where he DJed Tony Stark’s birthday party. This is perhaps the most telling dedication, as it shows that at his peak he was the go-to DJ for the rich and famous in Hollywood. Many huge DJs nowadays haven’t played for celebrities at private events, let alone been given the honour of the go-to DJ. As his peak was in the late 2000s and he was heavily influenced by the LA music scene, he played a lot of popular music in his sets, mixing between genres with ease and scratching wherever he pleased. He was very talented and it’s a tragedy that he was taken so early. He would have turned 42 today, so to celebrate what would have been his birthday have a listen to a mix of his and imagine what it would have been like to party with the best.